Felix Wiedwald left Werder Bremen in the summer 2017 transfer window and joined Leeds United because he didn’t want to be second choice and had something of a strop. The club had signed Jiří Pavlenka and Wiedwald was being edged out, much to the annoyance of the some of the media covering the German club. Wiedwald moved to Leeds United and everything started well. Indeed, some good performances from the stopper, and shaky ones from Pavlenka, led to lots of questions in the German media. But then Leeds started to change around their goalkeeping options, and Wiedwald found himself on the bench. 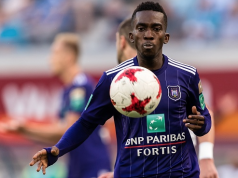 Quickly having enough of the situation, he moved to Eintracht Frankfurt in June. Ready to be a first choice, or at least put up a serious fight to be so, Wiedwald was happy. But then, on August 31st, Frankfurt signed Kevin Trapp on loan from PSG. 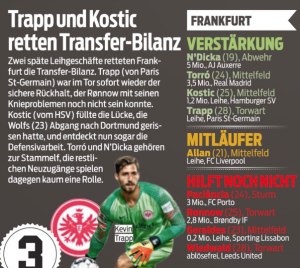 Wiedwald hasn’t been in the team since, and SportBild put him down as one of Frankfurt’s worst signings of the summer. He isn’t even making match-day squads. Perhaps Leeds United looks rosier now.